The speaker for the night is Stephen Abbott, who will give a talk on mapping of a modern car engines. He has said that on the night he will re-map your engine at a cost of £150, which is a lot less than he normally charges. He will also do a diagnostic evaluation of your engine for free on the night and also program your key fob to your car for free on the night. So don’t forget to bring your car and key fob with you on the night if you want it programming. Hope to see a lot of members on the night, to show the club is interested in new as well as older MG’s. Test Message !! Bill’s Weekend Romp . Hi All. You will be aware that there has been some problems with the website , hopefully this has now been resolved. As a test I am also sending out some Info on Bill’s Weekend Romp that you may or may not a received before. Ladies and Gentlemen, the club’s annual weekend away is fast approaching. Could those who have already sent deposits please send the balance due to arrive by the 15th April. The total price will be £280 per person. £50 per person has already been received, thank you. Therefore the balance is £230.00 per person. Godfrey and myself, together with our lovely navigators are going to the hotel to prove the various routes and activities on the 16th April. At present, there are still a couple of rooms available from our original request, so if you are thinking of coming along, please give me a shout as soon as possible either by e-mail or by phone. Equally, if anyone is unsure about what happens on the club weekends away, please contact me and I’ll be delighted to explain. Over the next few weeks, I’ll have a price for upgraded rooms which I will then circulate to interested parties. You will be pleased to know the website is now up and running. This did take sometime as a new server had to be found and contract made . The web master has worked day & night to get the system going. I have also put some more events on the system for you to take a look at. Please take a look and let us know the event/s you would like to join in, there is a great deal of work done behind the scenes to bring these events to you. Support your club and register your place for the Lancashire Lanes Run , 30th June , Entry from can be found in the club calendar. Could you please broadcast the following as a matter of urgency. Odin’s Ten Pin Bowling. The Level, Guild Hall, Preston. Hello All members , Please find this months link to your February 2019 News Letter . 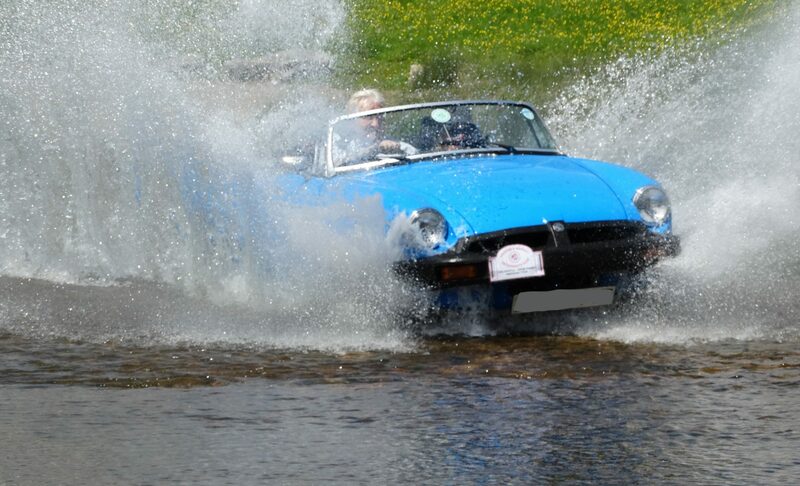 In this you will find your entry form to the Lancashire Lanes Run 30th June 2019 and also Classics in the park , Miller Park Preston on the 10th August 2019. This years Lancashire Lanes Run is set for the 30th June . It will start and finish at Barton Grange Hotel, PR3 5AA. Arrive around 10am when Coffee /Tea and pastries will be served and the run starting around 11am. There will be Three routes to test your skills , two short runs of around 48 miles and one longer one of around 79 miles. There is also a food option on your return of a two course late lunch around 4pm, which is to be pre-ordered on the Entry Form. or just enjoy a drink in the bar and recant the days event. Do come and join us for what will be a full of fun day with a photo of you in your car to take away as a memory of the day. The event will also be helping Air Ambulance Charity which one of our members know how much we need them. Entry’s will close one week before the event date. So please help us with the organization by booking your place early . The Clubs annual Lancashire Lanes Run 2019 will be starting and finishing from Barton Grange Hotel, Preston , PR3 5AA. (NOT Barton Grange garden centre) on the 30th June 2019 , this is much earlier than in previous years. It is the hope we can attract more club members to this years Lancashire Lanes Run, as it also seemed a much quieter part of the year event wise. Again we will be having two/three routes, Norman Lowe and David Lees have kindly agreed to produce these again for us . We will be finishing off the day back at Barton Grange Hotel for a social gathering in the bar and the day’s awards, there is also an option of booking in for the late lunch at the hotel. The Entry form is on the website under Club Activities, lanes run. This event is open to all Classic/ Vintage Car Clubs and owners so please if you have a friend in another club please invite them to join us , This is a great venue and would be very nice to fill the car park. Lakeside Bowl now called MFA Bowl. Timing is 20.30 arrival with a view to starting bowling at 21.00 prompt. Snacks are available for those who are peckish. Even for those, who like me have size 12 feet. This is always a fun night, so put your thinking caps on and join us for another great club night.